Snehan, is a Tamil lyricist, poest, actor and a speaker. He has written more than 3000 songs, working with different directors and music directors in Tamil film industry since 2002. He has received several honorary degrees, including Kavicchirpi, Chinnabarathi, Kavi Ilavarasu and Ezhuchi Kavignar. Snehan is one among the contestants of Bigg Boss Tamil reality show. So here is a look at Snehan Biography, Wiki, Personal life, Family, Movies and Recent Events. Snehan was born on 23 June 1978 in Sengipatti in Thanjavur district, Tamil Nadu, India as the youngest of eight sons into an agricultural family. He was raised in Thanjavur and was passionate about Tamil language since childhood. He has received several prizes by participating in competitions at school level. Snehan has also received a prestigious award from then Chief Minister MG Ramachandran at a state level school competition. He relocated to Chennai looking out for job, and started working with lyricist and poet Vairamuthu as a protégé. He worked as an editor in Tamil monthly magazine Ilanthendral for three years before getting a break in Tamil film industry. He was introduced in Tamil film industry by K Balachander who recommended him to music director SA Rajkumar to write lyrics for the film Putham Puthu Poove. Snehan has written 2500+ songs in more than 500 films, working with various music directors, including AR Rahman, Ilayaraja, Harris Jayaraj, and Yuvan Shankar Raja among others. 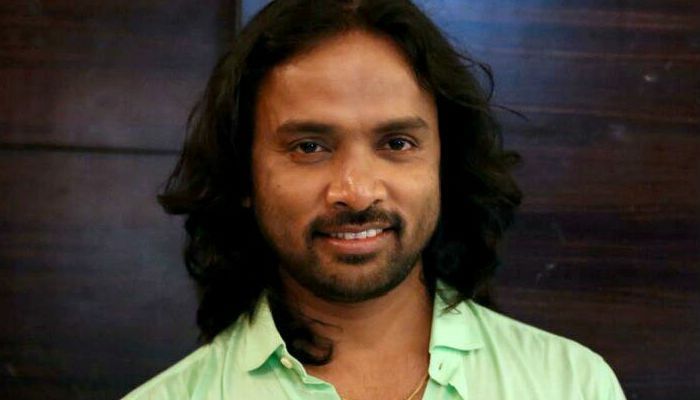 He made his film debut as an actor in Yogi, directed by Ameer Sultan, a friend of Snehan. He wrote lyrics for all songs in the film and even crooned a song as well. After that, he has acted in a couple of films. Snehan was heavily criticized by all sections of people for organizing Dynamic marriage urchaagam in Southern part of Tamil Nadu. And, in fact he is the founder of Dynamic marriage urchaagam. He is one of the participants of Bigg Boss Tamil reality game show, hosted by filmmaker and actor Kamal Haasan. We don’t about his family and his relationship status.